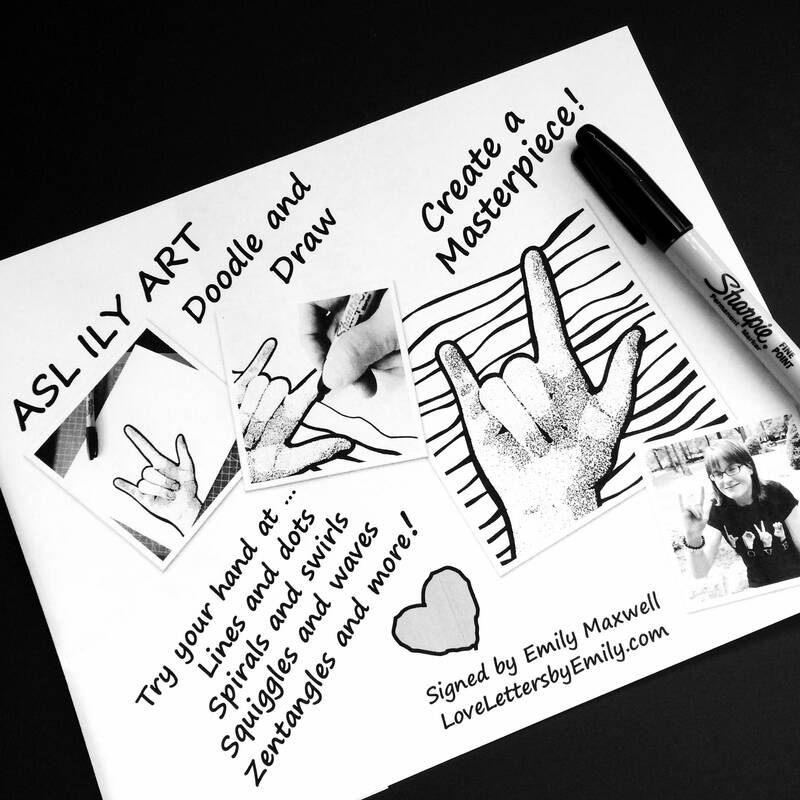 Try your hand at creating a masterpiece - beginning with Emily's ASL I Love You handshape. 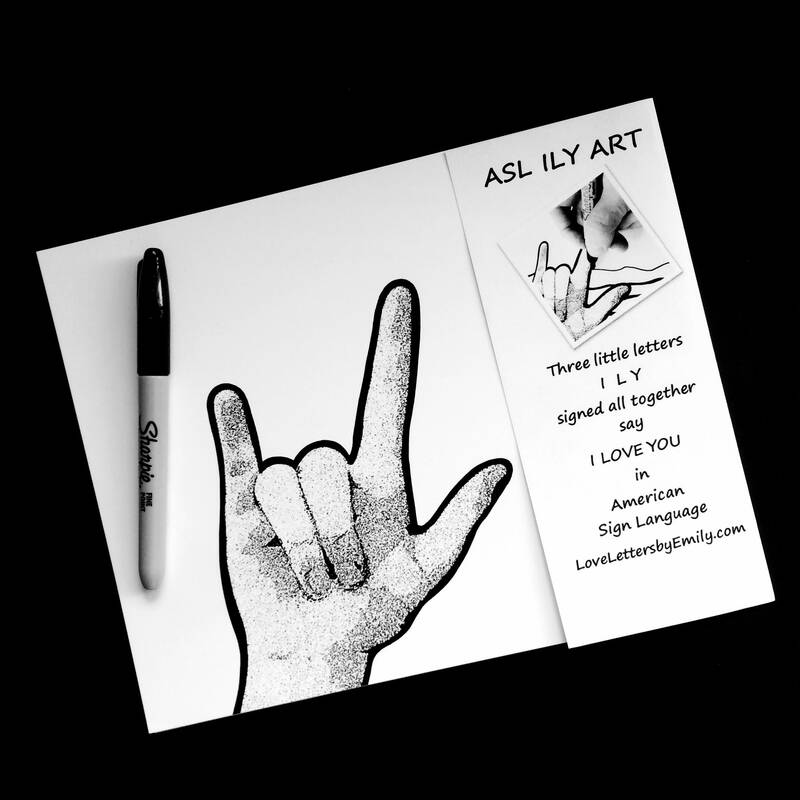 Three little letters signed all together say I LOVE YOU in American Sign Language. 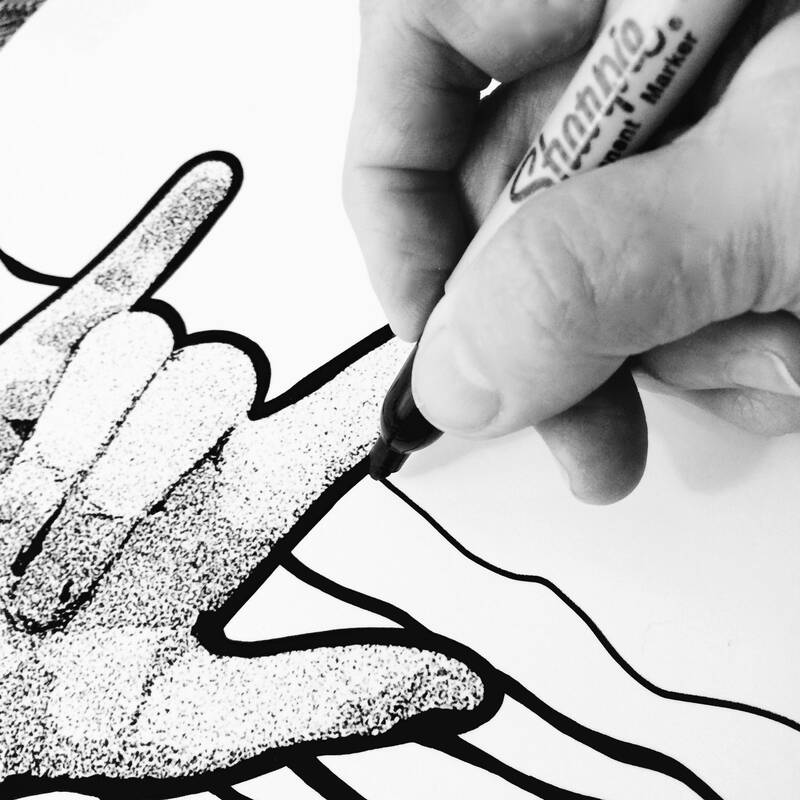 with the Sharpie fine point pen that is included with the 8x10 matte drawing paper. 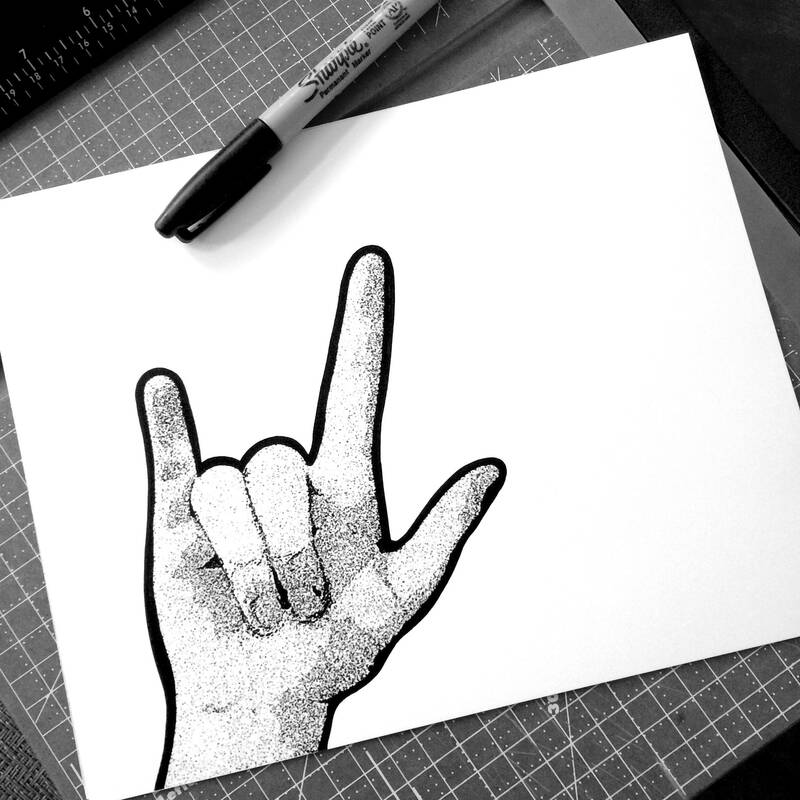 Sent in a protective cello sleeve - along with a backing board that provides a smooth drawing surface under your print. 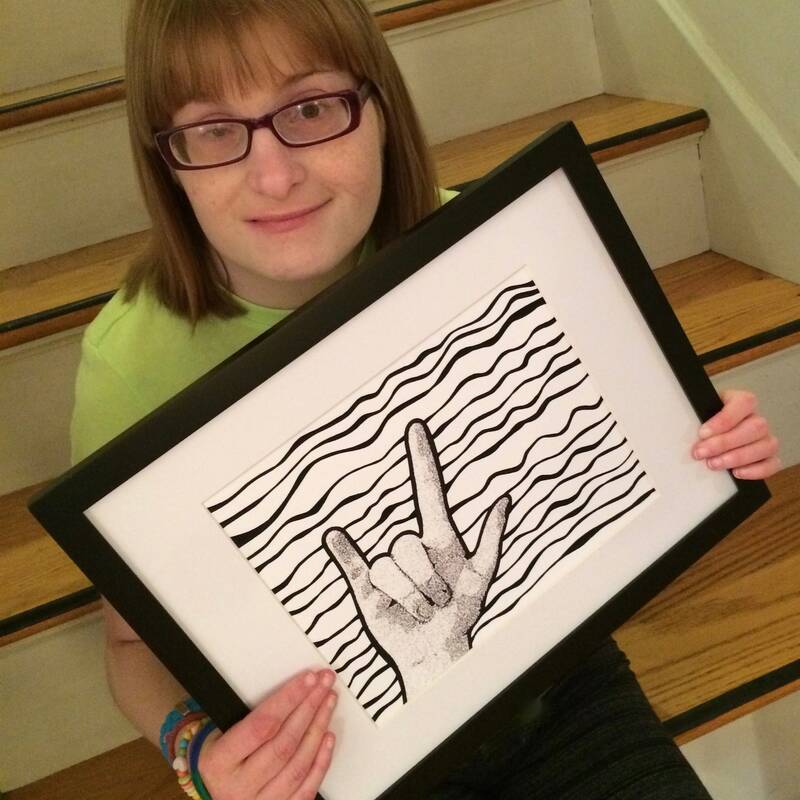 A great gift idea for ASL students and signers! 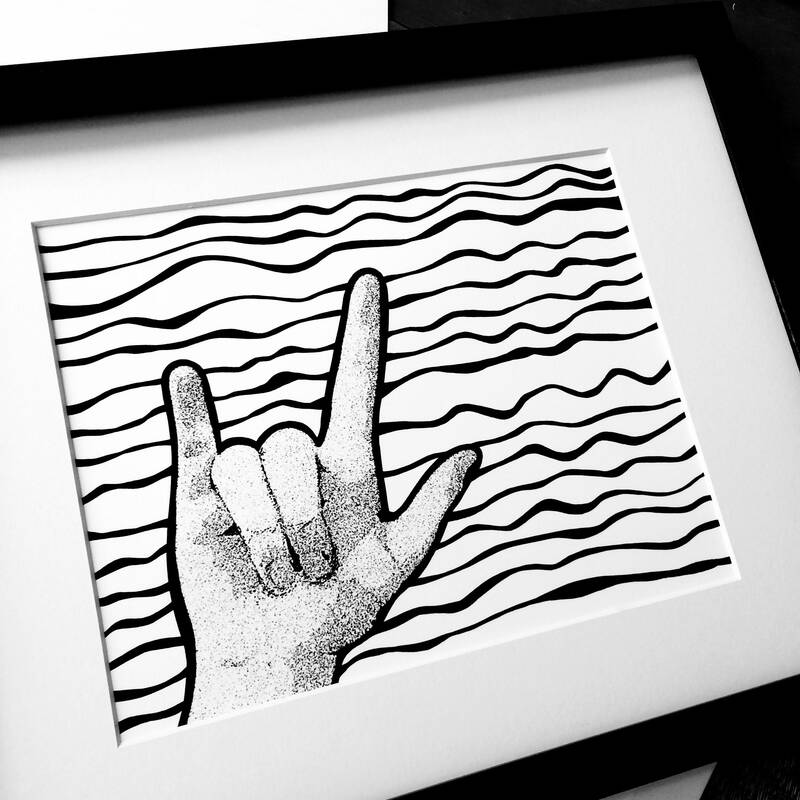 Happy to offer a discount for 4 or more at $8 each.